At Ollerton a Dosco side discharge roadway cutter loader was converted to a stower blower to put a pack on at the loader gate end. A booster conveyor was installed at Ollerton. This is where another conveyor with its own motor is installed below and is in contact with the existing conveyor to give extra hp to the main conveyor to allow extra tonnage to be carried. 2 more would be installed later. An underground fire was reported on one conveyor on 13th August 1986 but was quickly dealt with. 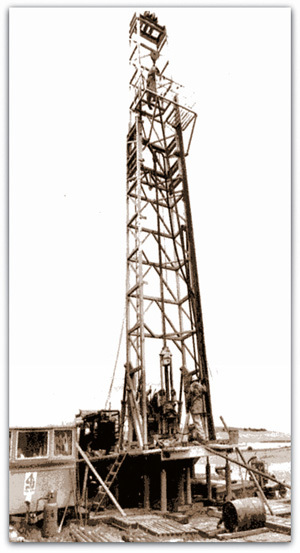 Surface boreholes began to be drilled in the Vale of Witham, between Newark and Lincoln, to prospect for a new coalfield. 3 deep bore holes had been drilled by end of October. However the project would never go ahead. 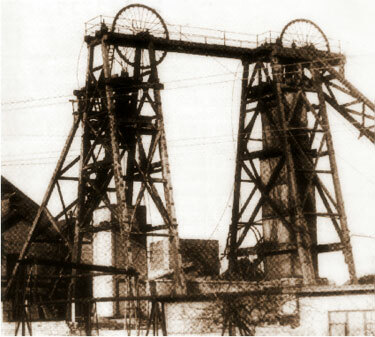 Following exploratory underground borings and use of a Tropari borehole surveying instrument to prove position, a steep 1in1 drift was begun at Sutton colliery from the Piper seam up to Silverhill Deep Hard old workings above to prove they were dry, so that underworking could proceed in safety. The exercise was carried out successfully by the Surveyor and Boremaster. The heading thirled in January 1987. The Tropari instrument in simple terms is a tube containing a clock, triggering device and a compass on a gimbal to allow dip or rise to be noted and small enough to go into a 3” (0.08m) borehole. The device is fastened to the end of the boring rods and pushed into the borehole that has been drilled and by setting the timer on the clock and measuring the distance into the hole by counting the measured drill rods a position and direction of the hole can be plotted. This can be done several times in a shift depending on the length of the hole as the clock timer has to be set with a time delay before going off as the drill rods have to be sent down the hole each time and this can be time consuming. The device is very useful to find out whether a hole is dipping when boring up to prove old workings and whether they contain water or gas when the angle is fairly shallow. When several measurements have been taken it is then possible to plot the direction and vertical position of the borehole at each stage. 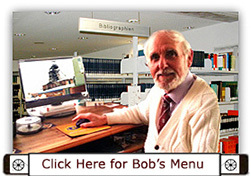 Some holes have been known to ‘corkscrew’ and bend left or right and curve downwards. 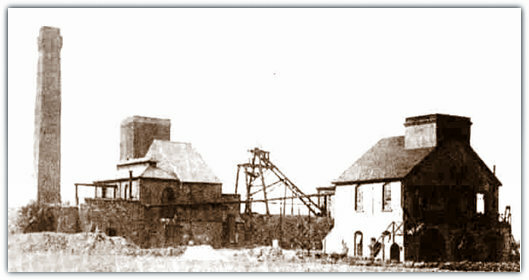 Babbington (Cinderhill) colliery (Nottinghamshire) sunk south of Bulwell as Cinderhill in 1842-1843 by Thomas North, when he was 37 years old. It was closed Jan 1986 after 142 years and merged with Hucknall that was sunk in 1866. The Babbington Coal Co was floated prior to 1840 and named after the small hamlet of Babbington where Thomas North and partner were working small pits. High Holborn and Turkey Field pits at 130 yards (119m) and 140 yards (128m) deep were working the Deep Soft and Deep Hard in the vicinity. 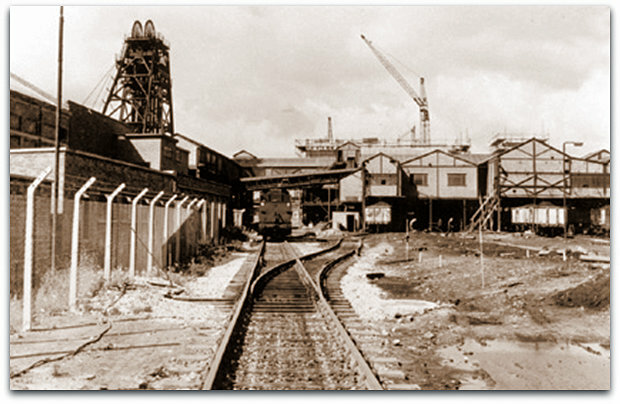 Both shafts at the new Cinderhill colliery, later renamed Babbington were 7 feet (2.1m) dia and named Windy and Smokey and were 215 feet (65.5m) above Ordnance datum, (the furnace ventilation ceased in 1899). The pit was nicknamed Babbo. The winding engine made by Davis of Tipton, Staffs, 180hp and shaft capacity estimated at 600 tons per 12 hour shift. A new engine made by Thornewill and Wareham 150 hp was installed in 1853. There was one cage in each shaft, with wooden guides and one tub/tram. 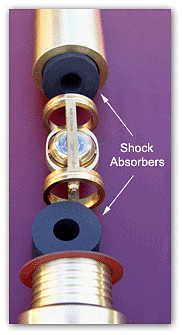 Pulleys were 12 feet (3.65m) dia. 2 large brick chimneys for the boiler plant for steam raising. The Furnace drift was known as Cupola. No3 shaft sunk in 1851 was called Hempshill as UC for North and North East Top Hard workings. A brick cupola and horse gin on surface. The return air from Bulwell drift and topside workings passed over the 9 feet (2.74m) wide furnace and 3 boiler fires. The pit bottom was made secure by a barrel arch with travelling road all around. No4 shaft 10 feet (3.05m) dia was sunk 1864. 500 tons of Top Hard coal per day was turned at this shaft up to 1914, the steam winding engine was made by Davis and Co in 1854, and had 4½” flat iron wire ropes, 12 feet (3.65m) dia pulleys and a 35 seconds run. 8 plain egg ended boilers for steam raising. 2 cages with wooden guides with 3 trams in each cage, and wooden brattice between each cage throughout the shaft and the shaft was finally abandoned in 1929 when the coal pillar supporting the shaft was robbed then from 1929-1933. Blackshale (inc Hucknall) –Sep 1986. As can be seen over 12 seams were worked at the pit, a number not exceeded anywhere else. Stables were in the pit bottom area. In 1856 only donkeys were in use as the roadways were too low to allow ponies to work. It was also noted by WW Fyfe on his visit underground that although methane gas was hissing from the coal at the face naked lights (green candles) were quite safe because of the good ventilation flow. 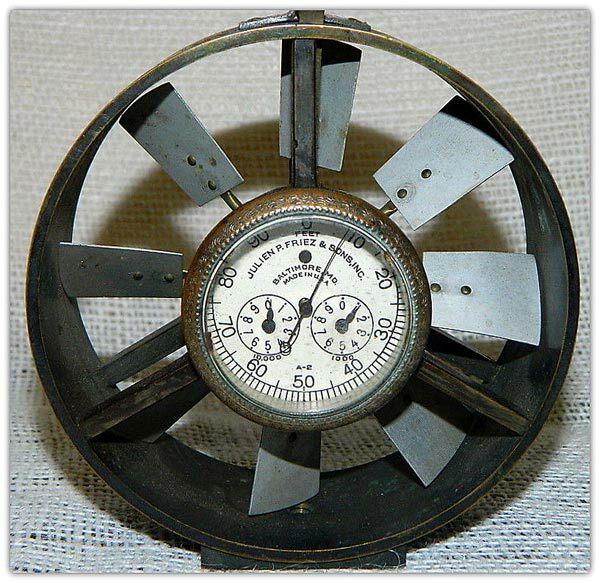 The Biram anemometer was in use and readings of 40,000 to 50,000 cu ft of air per minute were passing on the main roads but the air had to travel over 4,100 yards (3,750m). On the surface 18 miles of railway was in operation worked by 21 fixed and locomotive steam engines, partly by horses and partly by gravity. 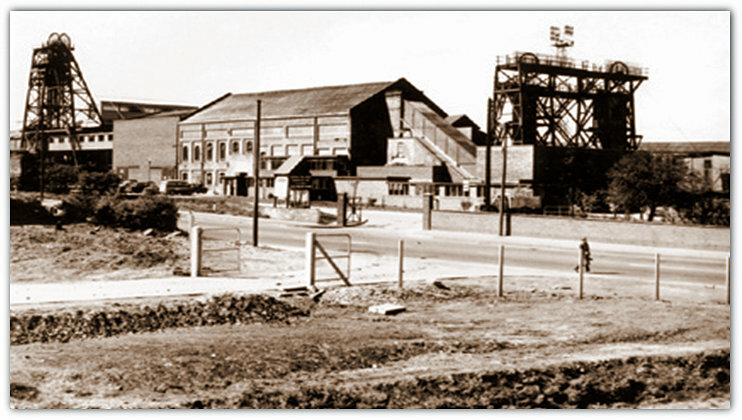 He also stated that the small Babbington pits had a ready sale of ironstone for use at Stanton ironworks. There was a 120hp Watt beam engine for pumping and a 40hp high pressure winding engine. There was also a pumping engine at Turkey Field. There was an underground fire in an engine house in the pit bottom on Thursday 9/4/1857. 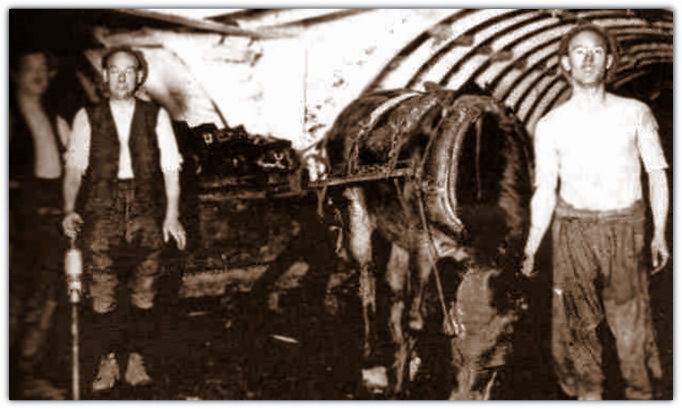 There were 2 engines for drawing coal in tubs from the extreme ends of the pit. Heat from the boiler flue of one of the engines set fire to the bed of coal some 45 ft (app 14m) in extent and 6 ft (1.83m) deep. All efforts to put out the fire failed and at 2pm on that day 2 engines from the fire brigade under the supervision of Mr Fox descended the shaft and on Tuesday evening 14/4/1857 at 7pm the fire was out. No material damage was done but considerable outlay was necessary to render the place secure again.